At the premiere, in Jazz Age-London of 1923, Walton conducted “Façade” and Sitwell used a megaphone to recite the words of the poems she had written for it. The Santa Fe Chamber Music Festival will present the work Sunday, Aug. 5 and Monday, Aug. 6 at the New Mexico Museum of Art. “Some of the poems are just so silly and so hard to recite. They’re like patter songs from Gilbert and Sullivan,” said festival executive director Steven Ovitsky, who has conducted the piece. Walton’s music, Ovitsky said, takes its cues from the poems. Some of poems are nonsense, he said, but in the context of the piece the words sound right. Walton began composing the work at the age of 19 after he was invited to live with Edith Sitwell’s literary brothers Sacheverell and Osbert in London. Walton and Sacheverell Sitwell had been friends at Oxford. In the same book, Glendinning quoted Sitwell as saying in her autobiography that her brothers suggested that her poetry should be recited to music written by Walton. At the festival’s paired concerts two speakers will recite 22 “Façade” poems as seven musicians play Walton’s music. 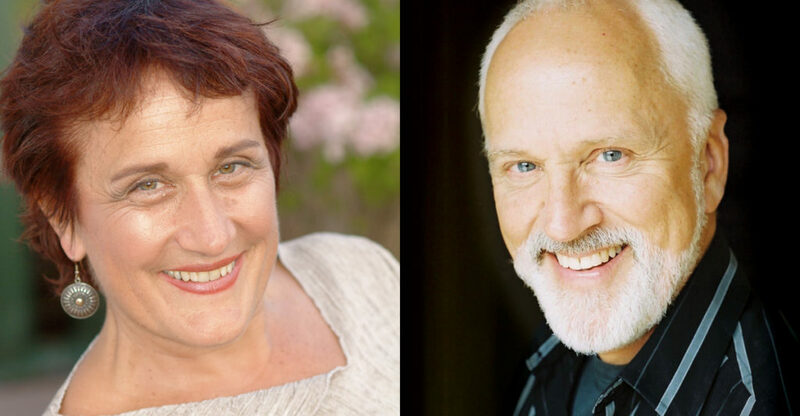 The festival speakers are soprano Lucy Shelton, whom the Los Angeles Times called “a favorite of modernist composers and of critics” and John Rubinstein, an award-winning film, Broadway and television actor, as well as a composer and a director. The musicians are Bart Feller (flute, piccolo), Todd Levy (clarinet,) Liam Burke (bass clarinet), Eric Lau (alto saxophone), Christopher Stingle (trumpet), Gregory Zuber (percussion) and Kajsa William-Olsson (cello). Conducting is Lawrence Foster, music director of l’Opéra de Marseille and a guest-conductor of some of the world’s leading Orchestras.The other two pieces in the paired concerts are Gabriel Fauré’s Piano Quartet No. 1 in C minor and W.A. Mozart’s Piano Trio No. 6 in G major.